Dear Uncle Nana Kwaku (Naaku): I usually don’t do birthdays; for as you already know, there are too many problems needing your attention to worry about a day you don’t even remember in practical terms. 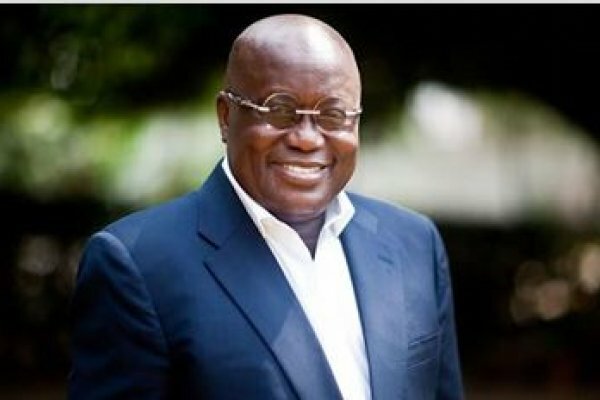 Nevertheless, this year, and in this instance, I have decided to write this deliberately terse “shout-out” note heartily congratulating you, The President of our august Democratic Republic of Ghana, Nana Addo Dankwa Akufo-Addo, who also happens to be my paternal uncle. Coincidentally, when I visited Ghana during the months of July and August last year, I also discovered to my pleasant surprise and utter delight that you, the current President of Ghana, as my own maternal grandfather, The Rev. TH (Yawbe) Sintim(-Aboagye), of Akyem-Begoro, Asiakwa, Juaben and Asante-Mampong, would have said, is/are also related to me by a long-gone granduncle by the name of Nana Asare Ofori or Asare-’Fori of Akyem-Amanfrom, or Yirenkyiren-Amanfrom on his/your mother’s side. But, of course, more than 2,000 media/newspaper columns promoting your presidential ambitions which, by the grace of Divine Providence, has become an auspicious reality in our beloved nation’s history, later, this is not what I really want to talk about. I suppose the name “Asare-Ofori” or “Asare-’Fori” is what my Akuapem-Akropong relatives call “Safori.” Well, the grim fact of the matter is that far less than 10-percent of Ghanaian citizens ever clock 75 and above in their lifetime in any particular year. In this case, however, we are also talking about three-quarters-century of very productive years. Indeed, it goes without saying that in terms of political productivity or statesmanship, Nana Akufo-Addo is almost totally without any peers or rivals, let alone living superiors or role models to look up to. I am also sure that you, Uncle Kwaku Willie, sometimes look up to me (tongue-in-cheek), just as I am constantly taking cues and clues from you on how to maintain one’s cool, or poise, under the most desperate and chaotic of circumstances. I mean, you know you are doing a darn good job when your most formidable political opponents have to hold strategic meetings and conferences under the thick of Stygian darkness in the Heart of our Rainforests because they are, obviously, deathly and morbidly afraid of getting caught and charged with sedition and treason, that is, what they know best how to do. Which was precisely why Messrs. John Dramani Mahama and Samuel Ofosu-Ampofo, and the rest of the National Democratic Congress’ hoodlum pack of party machinists were captured on audiovisual tape, predictably talking terroristic trash the other day, in a part of Kwaebibirem which clearly appeared to be a portion of the Atiwa-Atweredu’s Pristine Forest. Now, this is nothing short of the viciously risible or downright funny antics of a “Savannah Rat” that facilely and cavalierly presumes to create a sylvan hideout in the very lair of the legendary Leopard of the Amazon Forest. The lead conspirator must be shivering wet in his pants, I bet my bottom-dolar; and guess what? It is not even yet the 2020 electioneering campaign season. Americans have a common saying that “You can run all you want, but you can never hide.” You see, sabotaging the healthy and civilized development of one’s own country does not a progressive leader make. And, of course, the good news here is that Ghanaians have fast matured politically and come to the healthy realization that Ghana is no makeshift prepubescent toy truck to be nonchalantly ceded to some hooky-playing pupils to be used for a make-believe experimentation on learning to drive. Rather, Ghana is a civilized Democratic Republic and one that had better be perennially piloted by mature, generously talented and visionary adult-statesmen and women; and not some thievish upstart politicians who only envisage our great nation to be a Galamsey Quarry to be blindly, recklessly and scandalously mined for the comfort of their clinical kleptocratic ilk. Anyway, Happy Birthday, Uncle Kay. I hope you would be poised to wishing me the same come April 8.